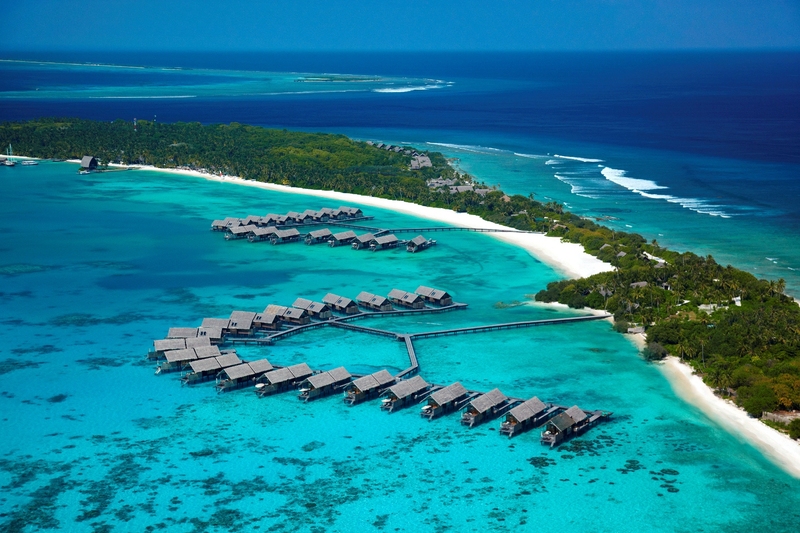 Welcome to the only luxury resort in the Maldives located south of the equator. 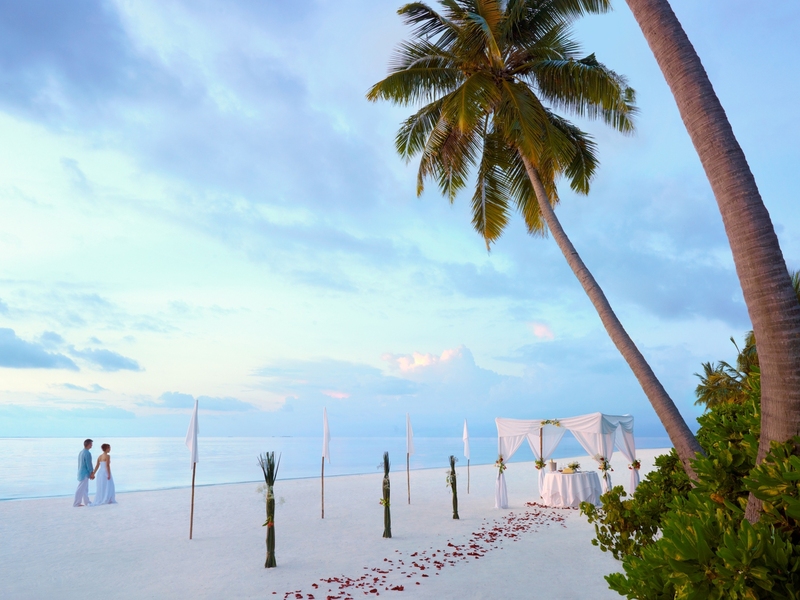 Natural dense vegetation and the accessibility of Villingili Island help to set it apart from many other Maldives resorts. 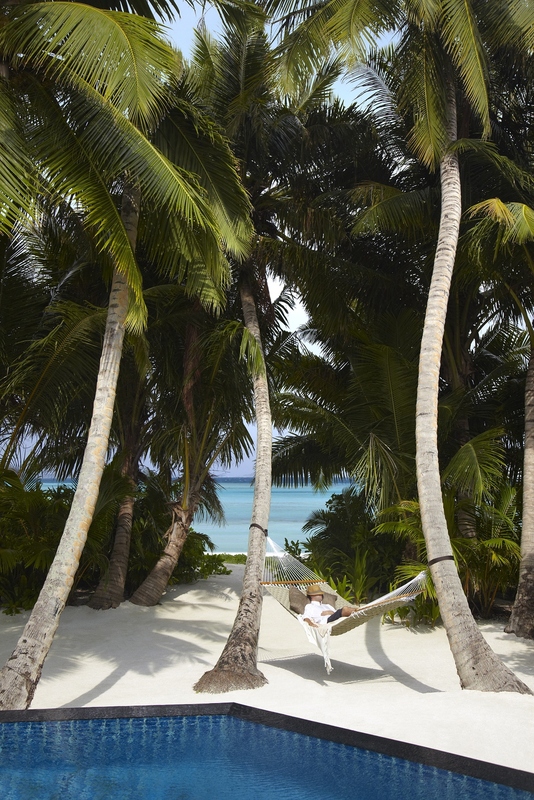 The three-kilometre-long island features 12 hectares of lush vegetation, towering banyan trees, 17,000 coconut trees, 45 species of plants, three natural lagoons and nature trails for guests to explore. 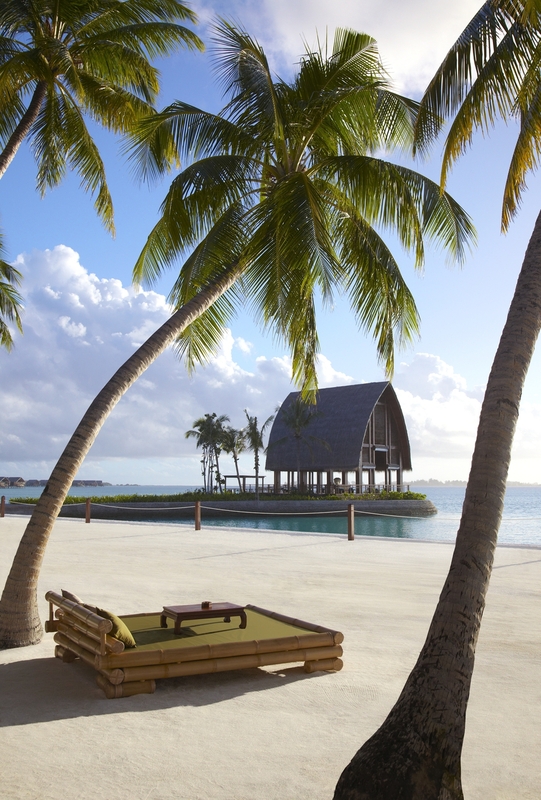 Gorgeous luxury accommodation and indulgent dining experiences await. 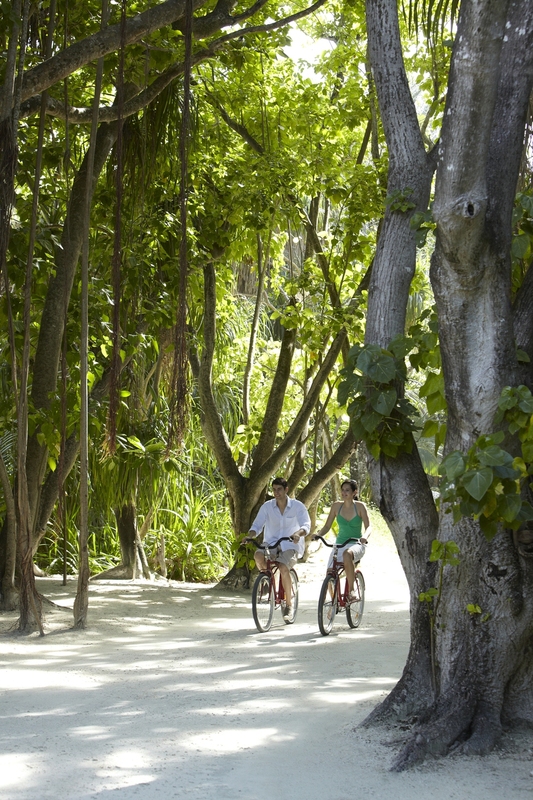 Guests can ride bicycles across causeways which link the various local islands, a unique feature in this area. 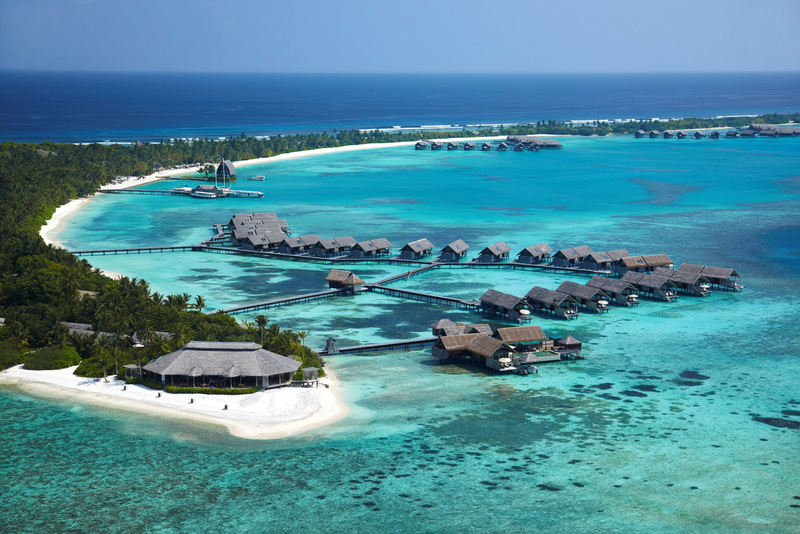 It’s also home to the Maldives’ most famous golf course. 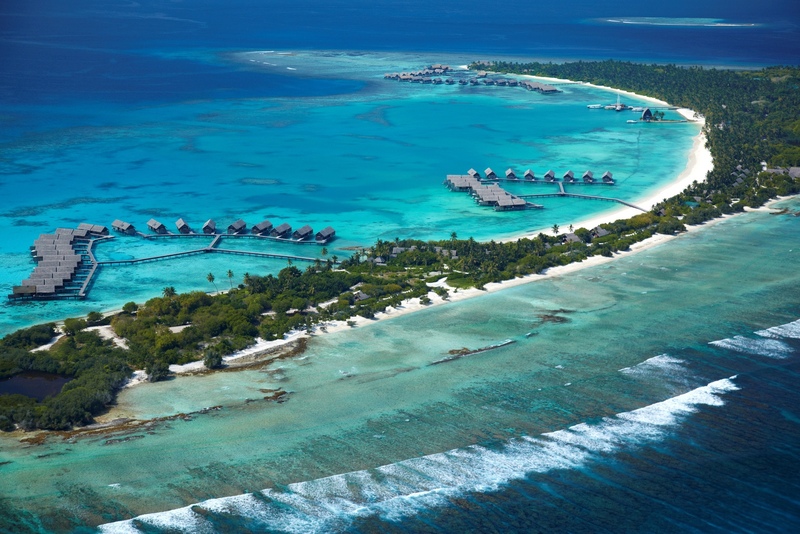 Unlike anywhere else in the country, in Addu Atoll multiple islands are linked by causeways, so guests can island-hop independently if they choose to. It’s also rich in history, including shipwrecks and the former British Royal Airforce base RAF Gan. 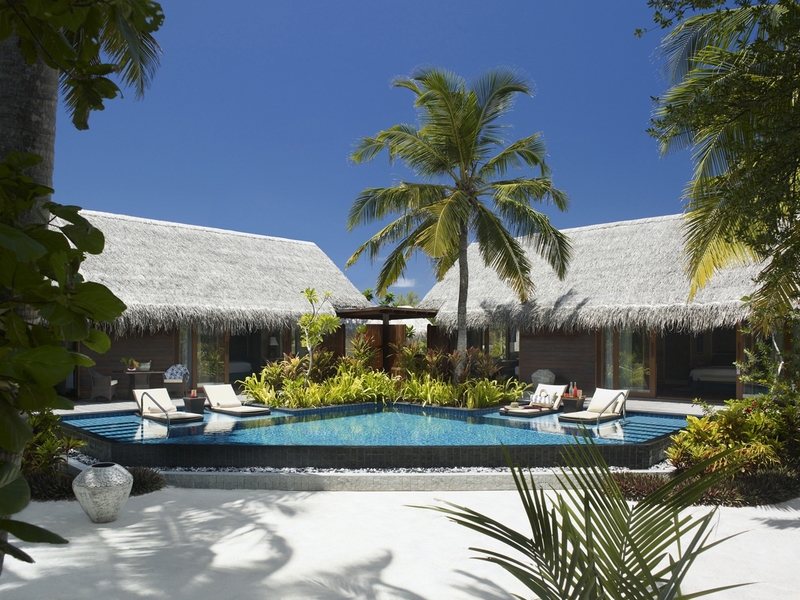 Pool Villas are surrounded by a lush forest and offer views of the gentle rolling ocean. 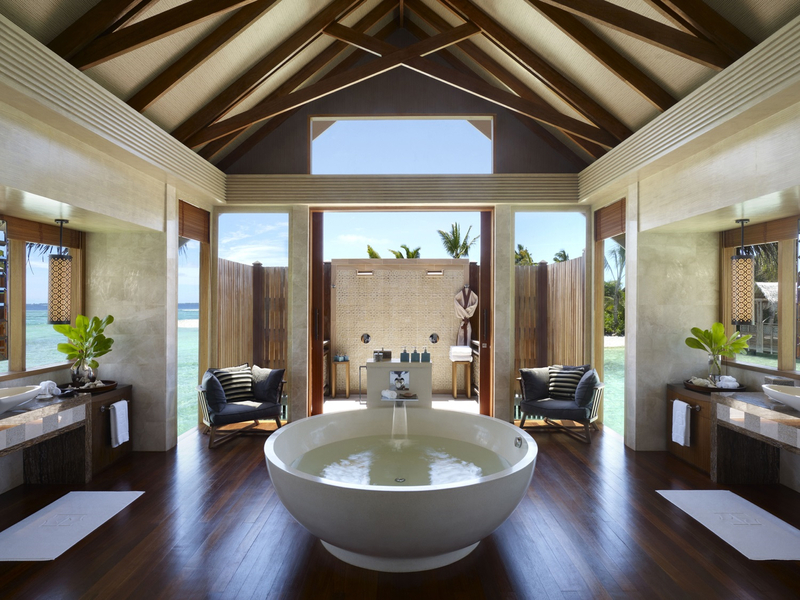 The elegant décor is contemporary Asian, with Middle Eastern and Indian highlights. 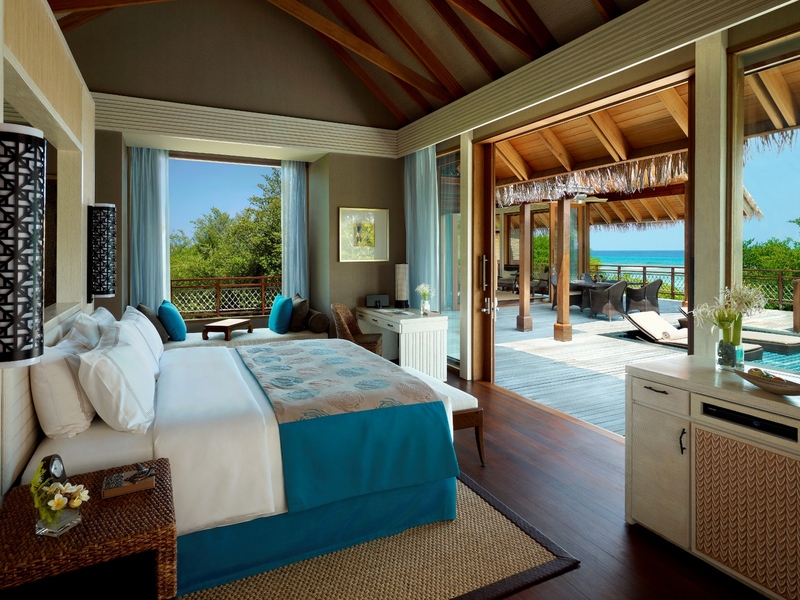 Guests can enjoy the soothing sound of the waves from the comfort of their bed, catch up on their reading or relax on a day bed on the patio or terrace. 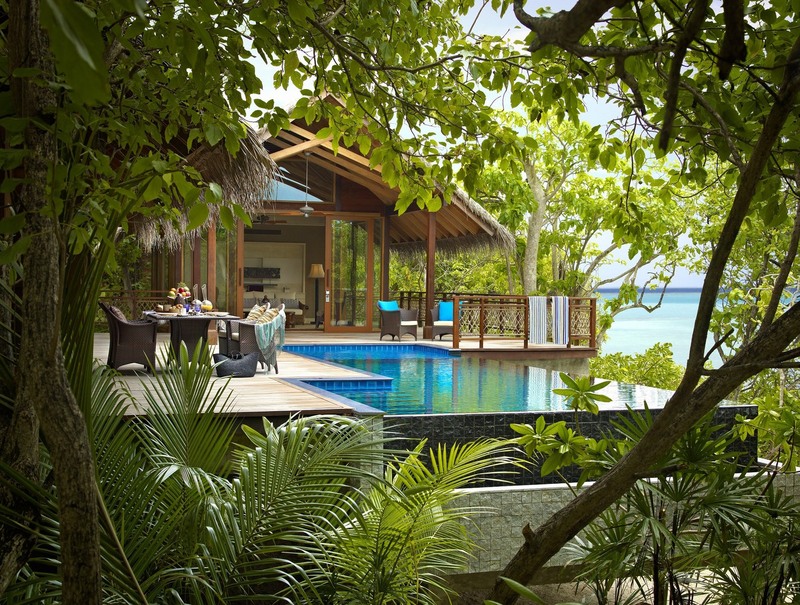 Nestled in rich vegetation, Deluxe Pool Villa guests can enjoy stunning views of the gentle rolling ocean from their own infinity pool and wooden sundeck. 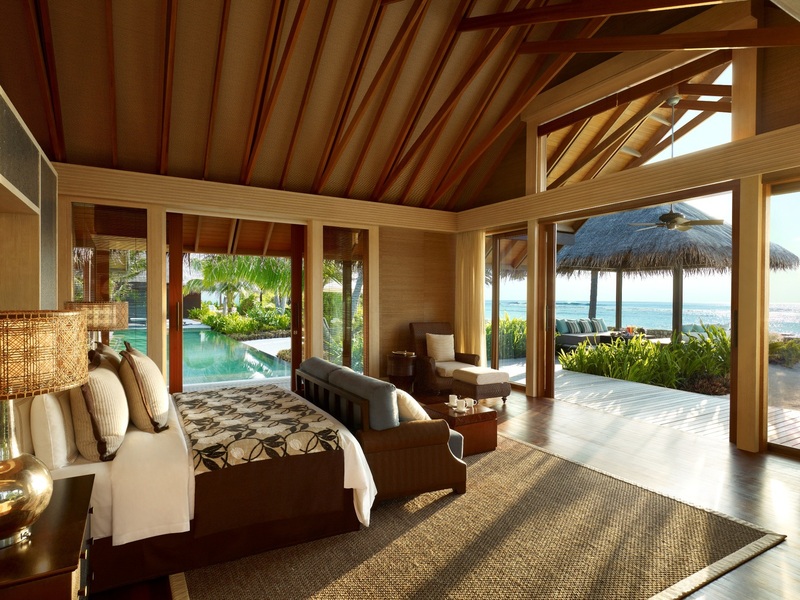 The bedroom and bathroom look out to the sea, while the spacious patio features outdoor furniture designed for dining under the stars on a balmy evening and a separate living room. 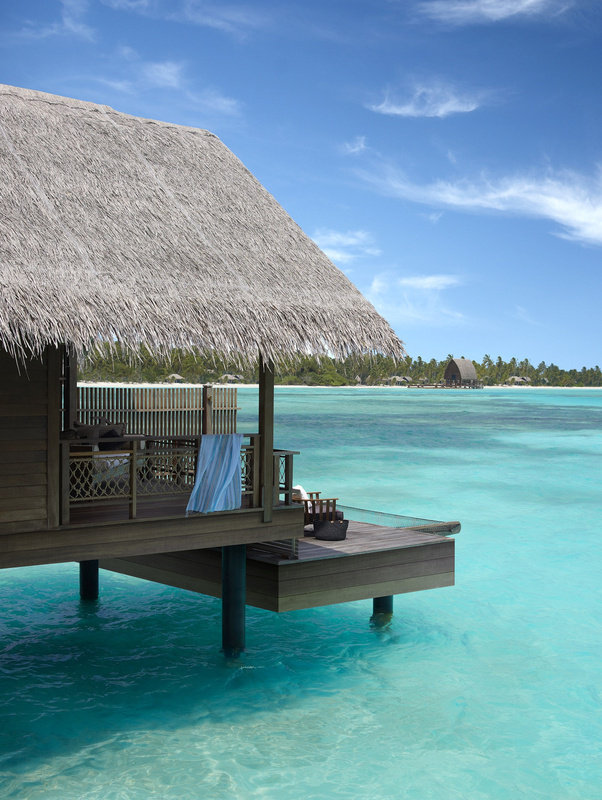 Water Villas are built on stilts in the resort’s lagoon. 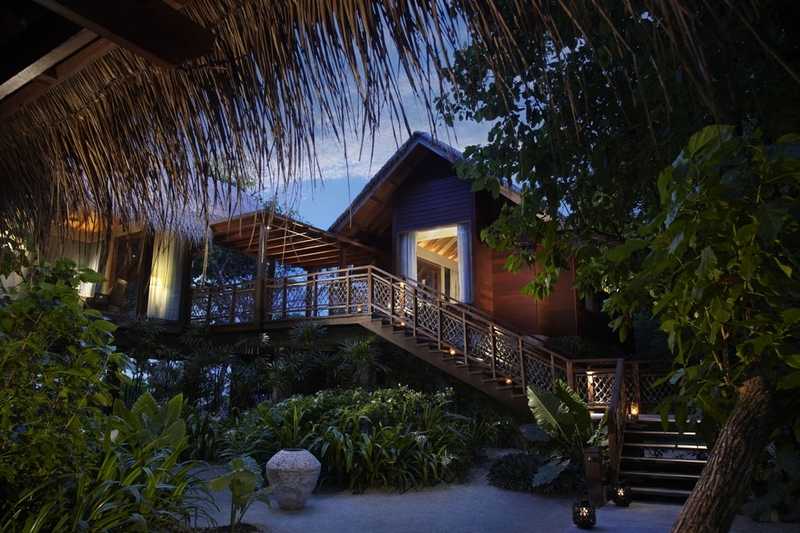 Connected to the island by a timber walkway, each Water Villa has an open and airy atmosphere. 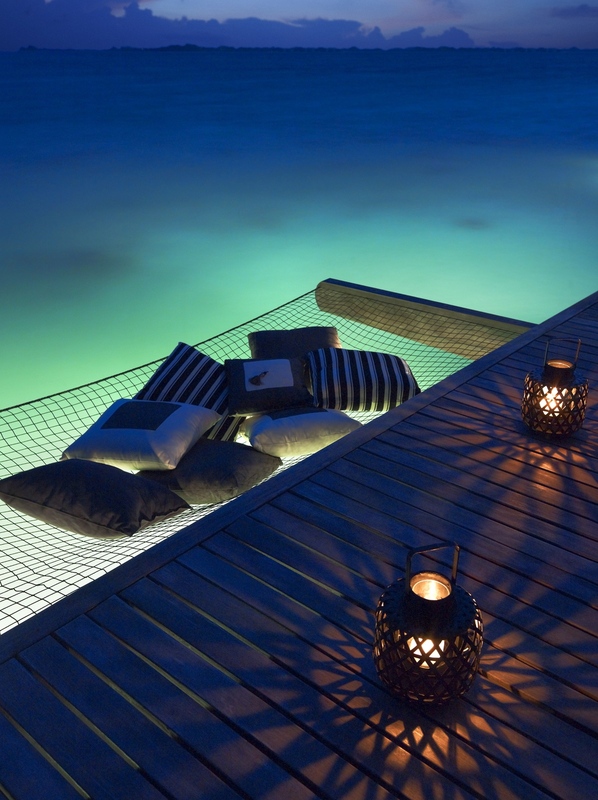 Access to this private haven is via a walkway over turquoise water that teems with marine life. 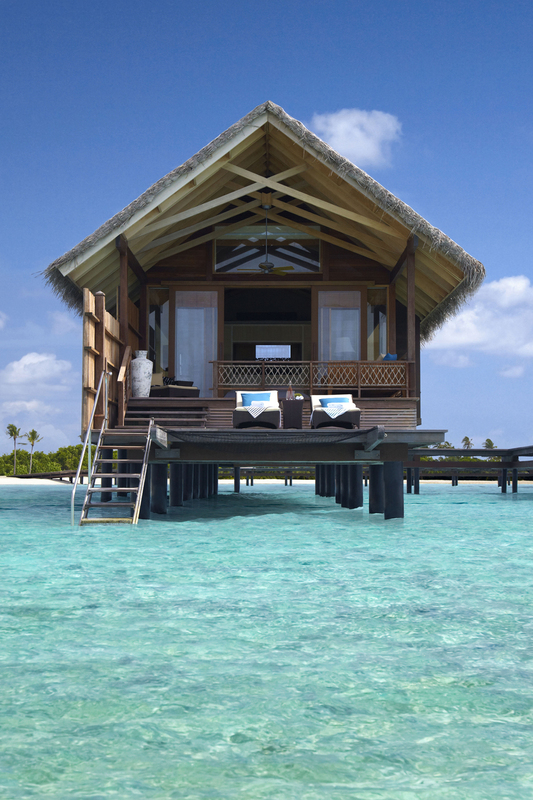 Featuring exquisite views of the ocean, Ocean Tree House Villas are secluded, private island hideaways. 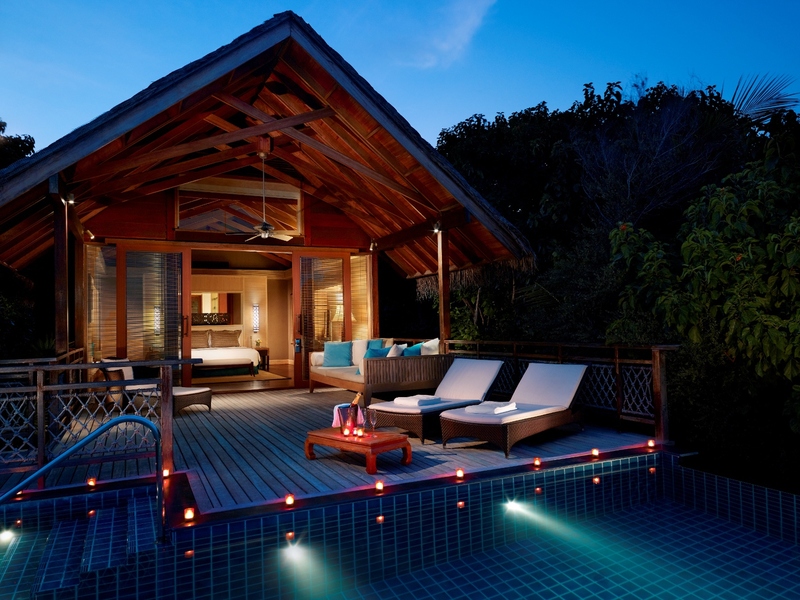 Perched on stilts among the treetops, these tropical luxury tree houses provide guests with unforgettable memories. 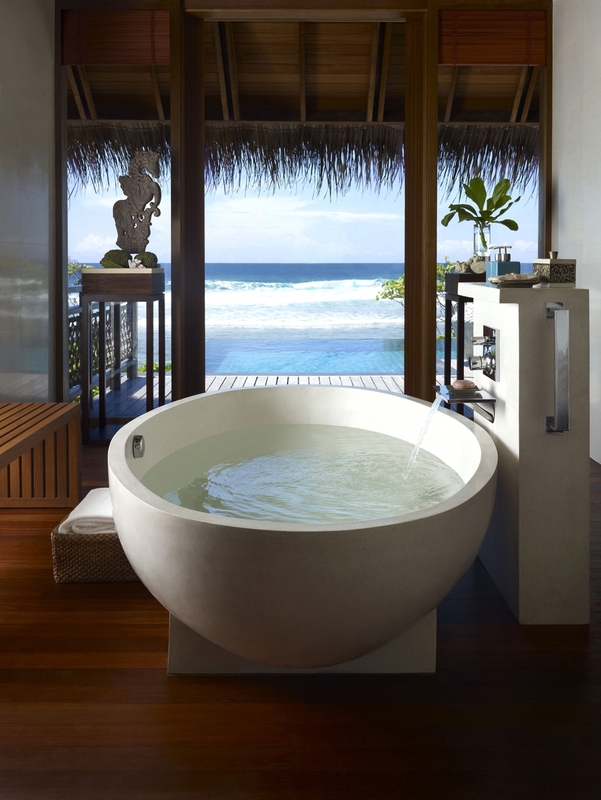 At this elevation, privacy is assured as the beautiful, panoramic views unfold like a living canvas of sparkling surf and languid lagoons. 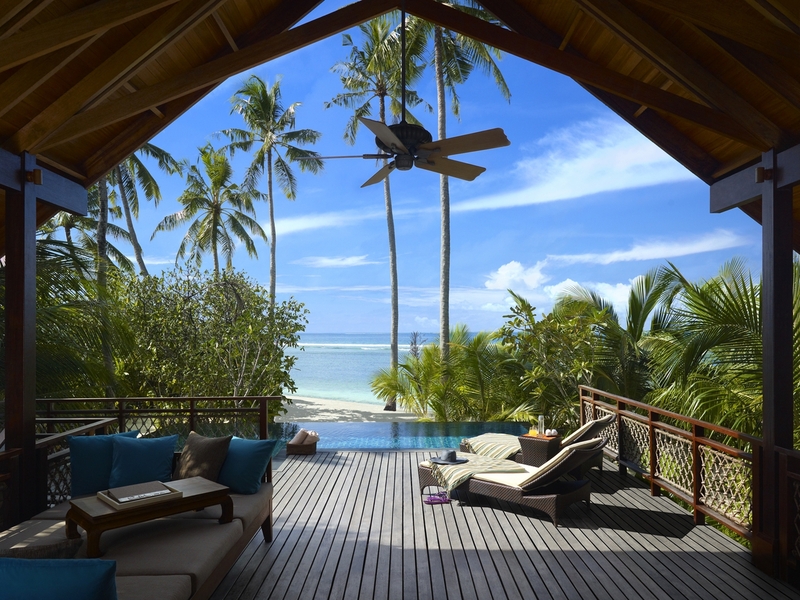 Luxurious and tastefully decorated, two-bedroom villas are located adjacent to one another, making them ideal for families or travelling companions wanting both privacy and proximity. Traditional and contemporary Middle Eastern and Asian-themed furnishings and décor create a light and airy feel, blurring the distinction between indoors and outdoors. 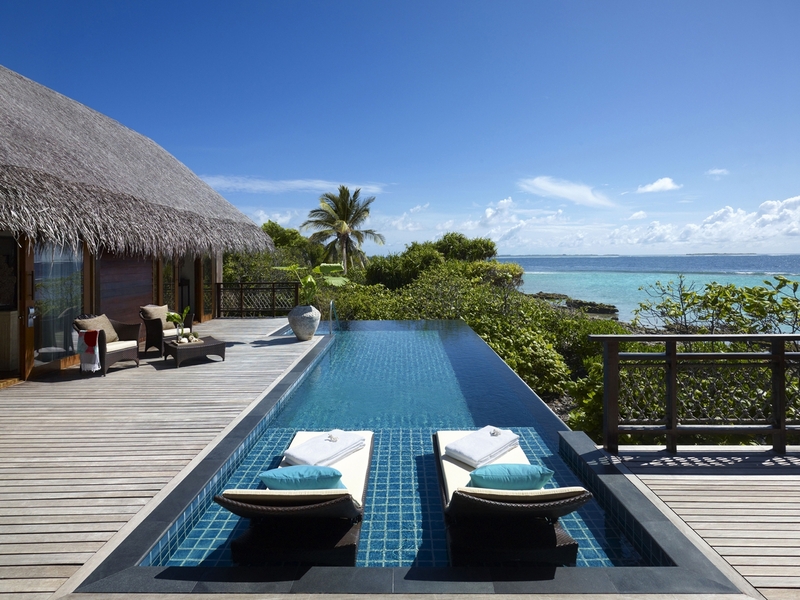 The villas are set in beautiful grounds and share a large patio and sun deck, complete with an infinity pool. 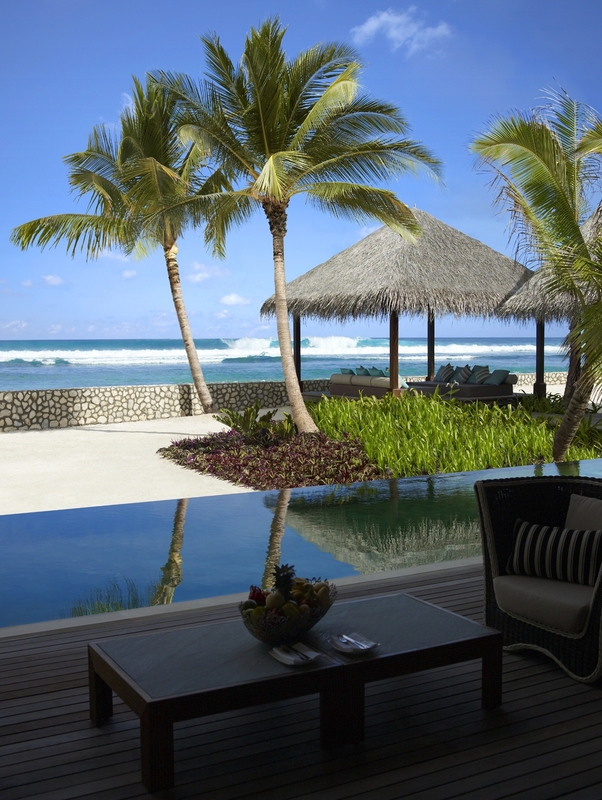 Like a pearl in its own oyster, Villa Muthee nestles in its own luxurious environment. 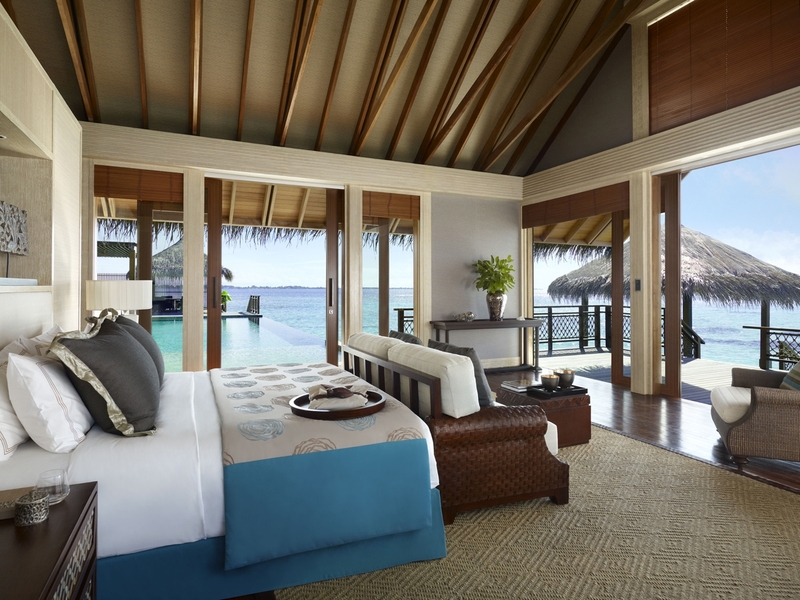 From the choicest of décor to the stunning seascapes that surround it, Villa Muthee promises a truly sensational experience.The only one of its kind at Shangri-La’s Villingili Resort and Spa, Villa Muthee is appropriately named. 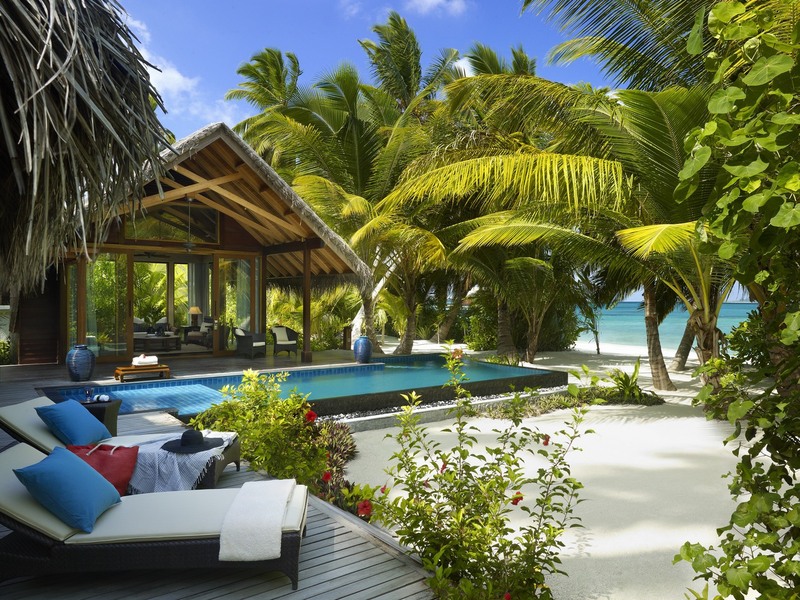 Muthee, which means ‘pearl’ in the local Dhivehi language, is a villa for those craving sanctuary from the fast-paced world in an ambience that offers stunning vistas and absolutely everything necessary for a perfect getaway. 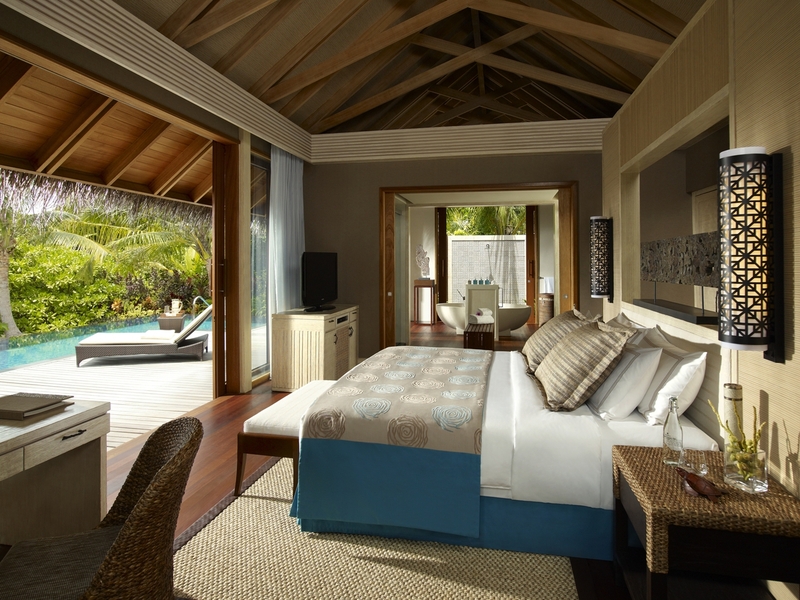 Spacious, stylish and thoughtfully designed, Villa Laalu is the jewel in the resort’s crown, with two large, high-ceilinged bedrooms. 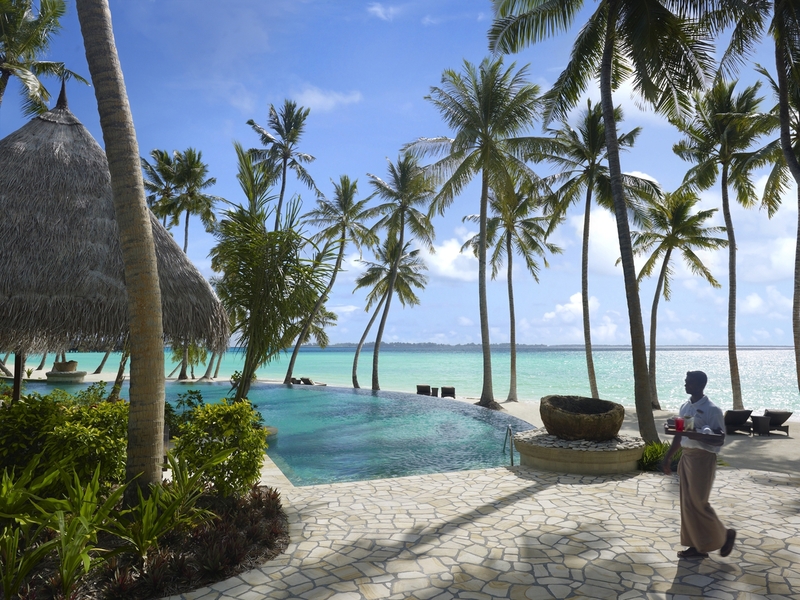 Carefully selected artworks are on display throughout this exquisite villa, together with high-end Asian artefacts, sculptures and urns from Indonesia, Sri Lanka and Thailand. 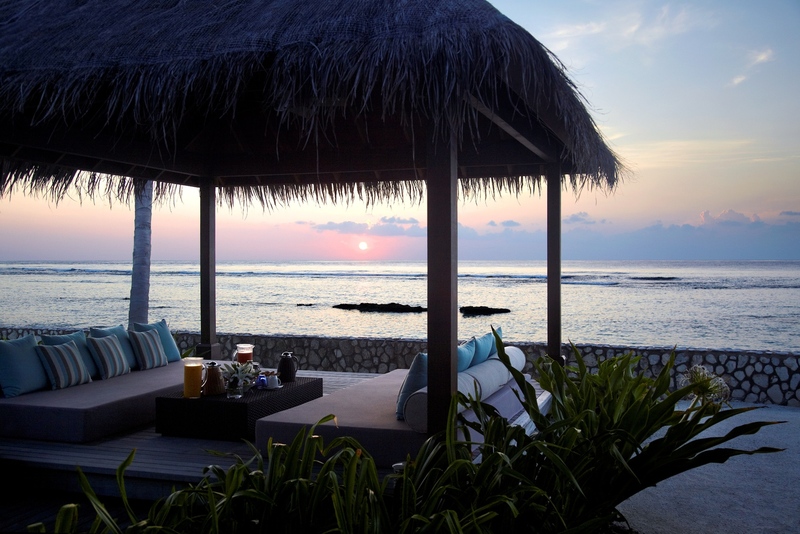 Round-the-clock, in-villa dining can be enjoyed in the living room with timber-decked verandas, or in air-conditioned or al fresco dining pavilions. 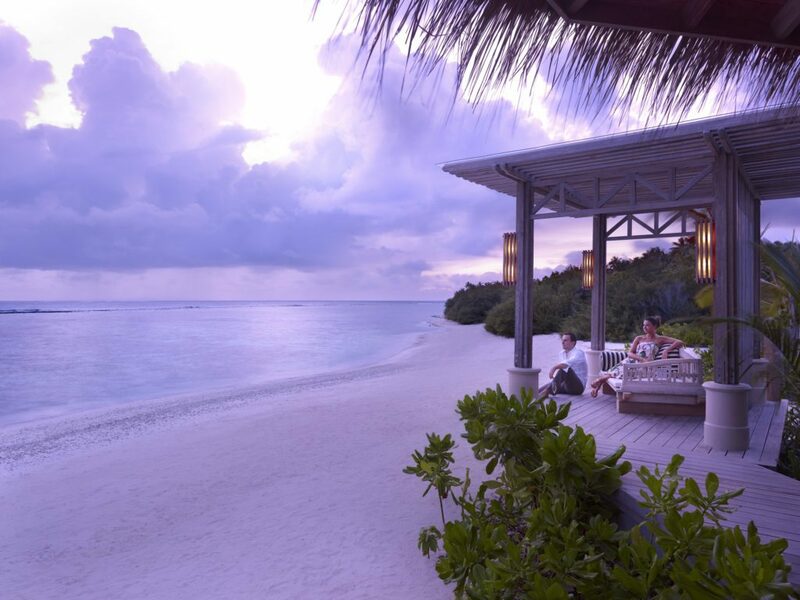 Javvu, meaning “atmosphere” in the local Dhivehi language, is the perfect spot for al fresco dining around the clock, offering a menu of international favourites in a setting of exquisite natural beauty. 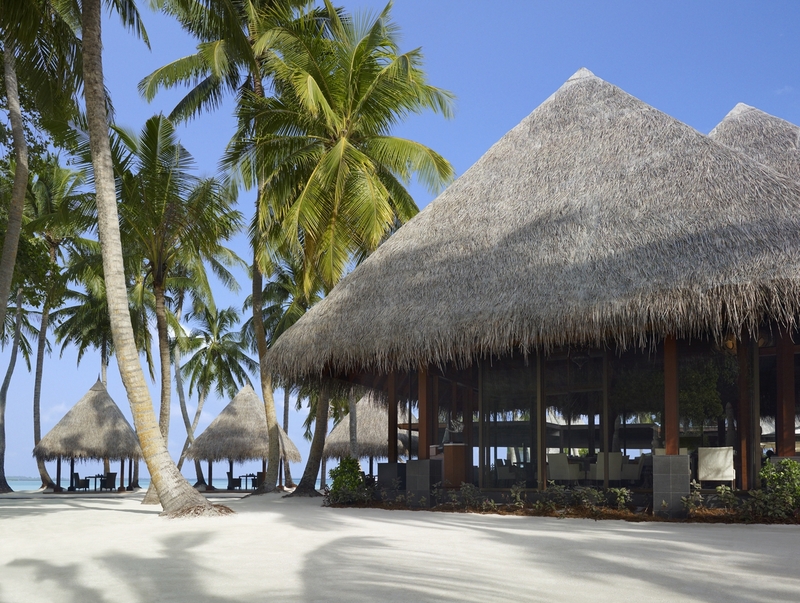 Meaning “black coral” in the local Dhivehi language, Endheri’s location next to the pool, beach and water sports centre makes it the perfect place to indulge in tropical fruit juices, healthy drinks and early evening cocktails. Comfort food and kids’ meals are also available. The 24-hour business lounge provides a wide range of support, including Internet access, secretarial and courier services, photocopying, fax and equipment rental. meet and greet, ground support and catering services by Shangri-La. 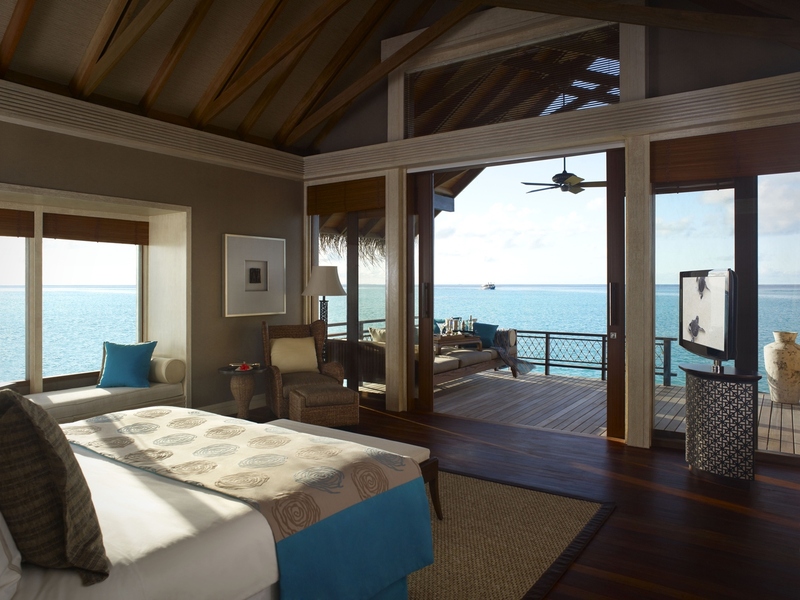 Discount on BB rates and Meal Upgrade Offer is applicable to extra adult supplement; Daily Breakfast and Dinner for up to four guests applicable for guests staying in a 2 Bedroom Beach Villa. 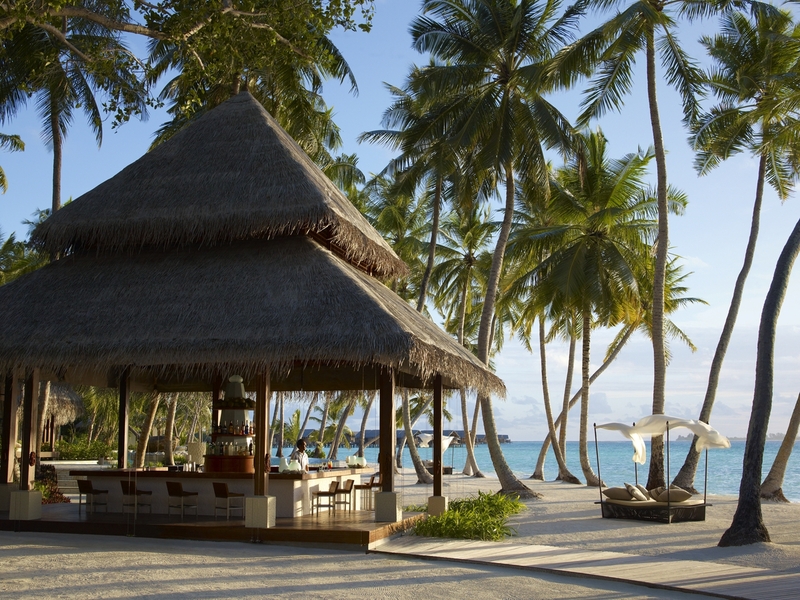 Children below 12 will receive complimentary free dinner in Javuu Restaurant or kids à la carte menu. Return domestic flights Male-GAN for extra person will be charged as per contract. Offer is applicable on ALL MARKETS except United Kingdom, Germany, Austria, Switzerland, Eastern Europe, Asian markets.